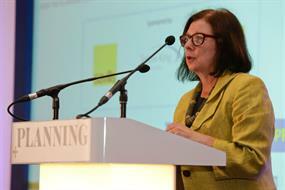 Planning’s inaugural housing conference took place on Tuesday 16 September 2014. The event brought together key players from both the public and private sectors to discuss ways the planning system can tackle the housing crisis. The Labour Party is examining ways to get more resources into local authority planning departments, shadow planning minister Roberta Blackman-Woods has said. If you were unable to make the conference, you can still benefit from the best practise and insights shared by the top-level industry experts on the day by purchasing the conference presentations. Upskill your team by sharing with your colleagues! Email events@haymarket.com to purchase the presentations for £199. Ministers' appetite for planning reform remains 'undiminished', with measures to tackle local authorities' failure to plan for an ageing population next on the government's agenda, the chief planner said today. The planning system in England 'stands in the way' of the creation of a new garden city, the Wolfson Economics Prize winner has said. The 'strict' containment of UK cities by green belt is limiting their prosperity and should be reviewed, according to the planning chief at one of the country's biggest housebuilders. Planners should ignore economic plans being drawn up by local enterprise partnerships (LEPs) 'at their peril', according to the Planning Officers Society's national strategic planning convenor. Some councils are reneging on their 'legal duty' to help communities draw up neighbourhood plans, England's chief planner has said. Government will take a tough line against local authorities that persist in drawing up their own housing standards once a nationwide review comes into force, the Planning for Housing conference heard yesterday. 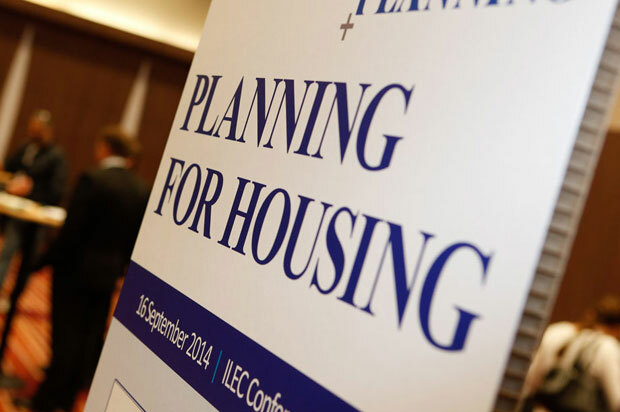 A return to a two-tier system and a two-year deadline for plan preparation are among measures needed to provide a stable framework for local plans, the Planning for Housing conference heard yesterday. Politicians will have to increasingly 'use their electoral legitimacy more forcefully' to drive through development in order to avoid problems with the provision of key infrastructure, according to a leading economics academic. Yesterday's inaugural Planning for Housing conference included a dedicated workshop on affordable housing. Here are three messages to emerge from the session. Yesterday's Planning for Housing conference programme included a breakout session on the impact of changes to permitted development rights. Here are three messages to emerge from the workshop.